From small jobs to large projects we do it all. Colonial Excavating provides excavation, landscape and hardscape services to commercial property owners and homeowners with expertise and professionalism. Our business is locally owned and operated, and we have served the Capital Region for years with expertly planned projects and 24/7 emergency work. 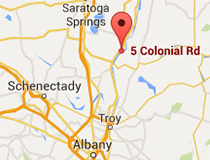 From Albany to Clifton Park to Saratoga Springs, Colonial Excavating has the resources and experience to get your job done right – efficiently and effectively. With years of experience serving the Capital Region, Colonial Excavating believes we are the best choice to provide the services your project requires. We also recruit and source our workers, equipment and materials from local suppliers, because we believe in investing in the Capital District. Whether you are a homeowner or a large commercial business, we possess a qualified and well-balanced staff that has the knowledge, experience, equipment and resources to complete you project correctly – the first time. When you choose Colonial Excavating, you’ll gain a partner who is reliable, professional and affordable. With our incredible attention to detail and commitment to investing in the Capital Region, you be glad you chose Colonial Excavating. Owner Michael J. Anusesky has a Bachelor of Science in Interdisciplinary Engineering & Management with a track in Structural Engineering from Clarkson University. He has years of experience and ensures all of his work is of the highest quality. We provide free estimates and consultations because we understand that the most important part of hiring a contractor is trusting that they have the knowledge and experience to get the job done right. We are fully committed to providing the highest quality excavating and landscaping services for each client we serve while focusing on cost efficiency and value. When the foundation of your large exterior project requires a professional excavation contractor that has the equipment and experience to get the job done right the first time, you need Colonial Excavating. Unlike other excavation businesses, we have our own equipment — and that means we have the resources and expertise you need to manage jobs big and small, whether on a planned or emergency basis. Nothing adds to the value of your property’s exterior more than a well-planned and expertly maintained lawn and gardens. As one of the premier landscaping contractors in the Capital Region, Colonial Excavating provides a broad range of services to local property owners. Whether you have a few trees or bushes that need to be removed, have a small install project, or you’re planning a broad exterior renovation, Colonial Excavating has the resources you need to get your job done right — affordably and efficiently. Well-planned hardscaping adds more than beauty to the exterior of your property — it also adds significant value, protects your structures from drainage and landslide problems, and protects your guests from accidental trips, slips and falls. Hardscapes such as walkways, retaining walls, driveways, patios and sidewalks form the foundation of your property. Even the most beautiful gardens cannot hide a cracked driveway filled with frost heaves, dangerously loose stones on your front steps, or an uneven patio surface.